Here at Kilchoan Crafts we are passionate about showcasing local arts and crafts and supporting ethically sourced Fair Trade products. Whether you are visiting Ardnamurchan on holiday or living in the local area, Kilchoan Craft and Coffee Shop has something for everyone to enjoy. 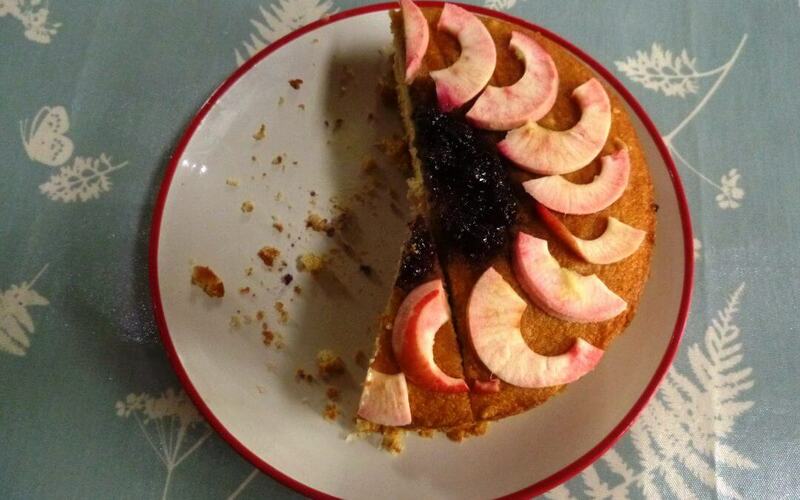 This week, we have been busy harvesting apples and brambles from the garden and turning them into delicious cakes and a variety of preserves all of which are available to buy in the shop. Come and see us and relax with a slice of cake and a cup of freshly ground Fair Trade coffee, whilst enjoying the gallery of paintings and prints by local artist Bill Loughray who beautifully captures the Ardnamurchan coastline and fishing village of Tobermory, alongside works by Hugh Isherwood and Maureen Minchin. 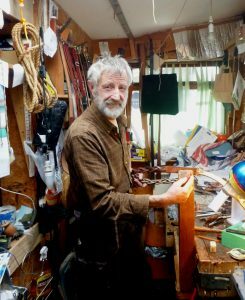 You might even catch a glimpse of leather craftsman in residence John Chapple working on his exquisitely made belts and bags which are made bespoke to order. Or pick up one of his Tide, Time & Moon clocks made of reclaimed wood and featuring a face made of recycled coffee cups. Afterwards, have a browse of our carefully picked collection of local arts and crafts, including handmade slipware pottery by Michelle Lowe , jewellery by Iona Greenstone, woven throws by Tweedmill Textiles and soaps made by the Highland Soap Company. If you are looking for a special gift, or just want to treat yourself we also stock a range of beautiful Fair Trade jewellery, clothing and homewares ethically sourced in India by Namaste. And for those who really must escape magical Ardnamurchan for the real world, internet access is available. We look forward to seeing you at Kilchoan Arts & Crafts Cafe soon.